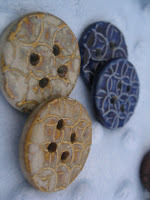 I have loved Kazuri beads from the moment I found them in a small bead shop in Dubai about 4 years ago. 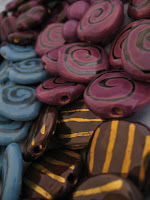 I payed a small fortune for a few beads and was determined to find them at a more affordable price. Especially back then when I was making and selling my own jewellery. I needed to be able to sell my jewellery at prices people wanted to pay and make some money for myself! It was not easy - there are not many shops that sell online to overseas buyers. 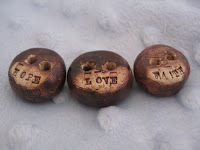 Finally I found a great bead store that not only has Kazuri, but lots of other wonderful goodies too! AND every so often they have GREAT SALES! Recently they had a 50% off sale and I went a little crazy! PLEASE NOTE - If you intend on buying Kazuri beads - please buy from an authorized seller and not from a shop that resells these beads at high prices, that do not see the profits returned to the factory! Here are some of my last lot of great bargains! AND here is my first creation using some of the beads! By the way I LOVE PURPLE - if you hadn't already noticed! Here is a little excerpt about the inspirational story of Kazuri and how they came about! Please take a moment to read this amazing story and check out the website. It truly is an amazing organisation. My dream one day is to visit the Kazuri Factory in Kenya! Lady Susan Wood, a daughter of English missionaries, who returned to Kenya in her adulthood, founded Kazuri in 1975. She and her husband, surgeon Michael Wood, formed the East African Flying Doctor Service, which expanded into the African Medical Research Foundation (AMREF). Out of similar concern for the well-being of those living around her, Lady Susan initially hired two disadvantaged women to create sellable beads in a shed on her property in Karen, Nairobi, Kenya. Here, on acreage formerly owned by Karen Blixen (whose pen name, Isak Dinesen, is memorable to many from Out of Africa fame), Lady Susan quickly realized a greater potential. So many women, most of them single mothers, needed steady work and a productive outlet to support their children with basic needs, such as money for food and fees for school supplies. 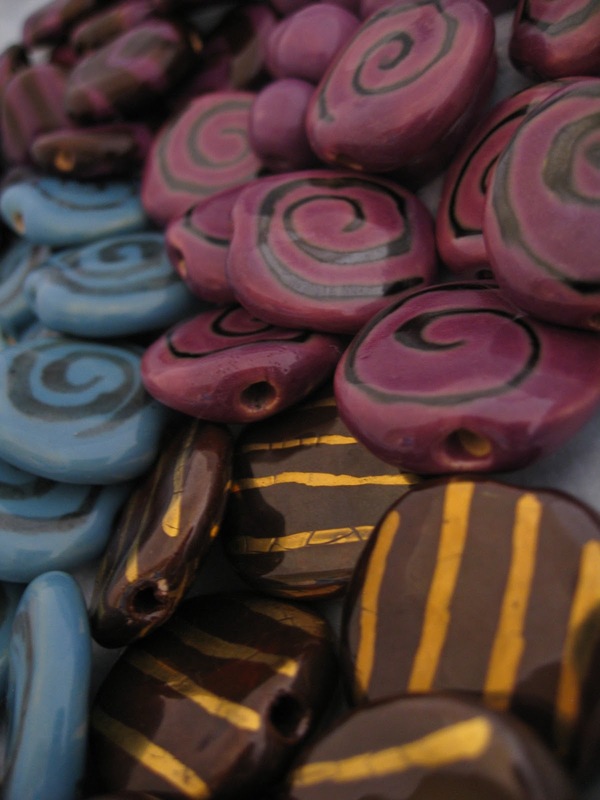 The business was opened to many more women, who used clay from the area to produce these unique and beautiful beads. In 1988, Kazuri became a factory and expanded to employ over 120 women and men. With local unemployment at rates of up to 90 percent at times, one jobholder often provides for 15 or more other “extended family” members. Currently, the business supports around 400 employees. Kazuri is a member of the Fair Trade Act. Hi there. I'm beginning to get a little kazury crazy too and in blogwalking I found you :) Will you share me the shop name (or the place if u remember just that)in Dubai, please? thanks much!